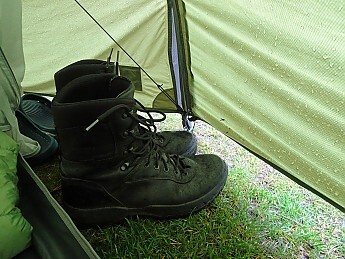 Lightweight waterproof boots (but the waterproofing is unreliable). May not be suitable for all foot shapes due to a deep forefoot. 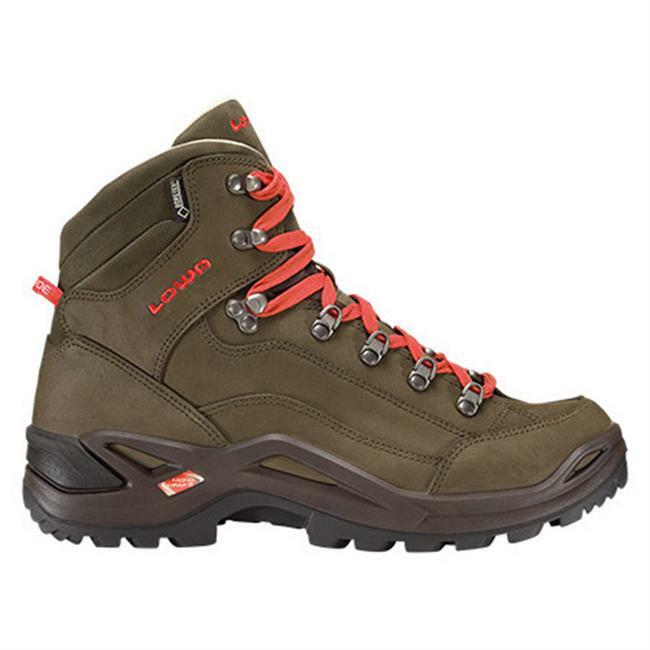 I bought my Lowa Uplanders at the end of 2015 for use as urban bad weather footwear. At the time I did not intend to use them for hiking. 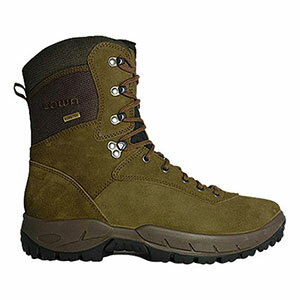 I did my hiking in mid-height boots of the sort used by most hikers—in my case, Lowa Renegades. Uplanders come in two styles, smooth black (marketed as a military boot) and suede, and for my intended use I chose the smooth black. Until autumn 2016 I made limited use of my Uplanders. In autumn 2016 I had a rethink about the Uplanders. My Renegades had disappointed me where durability was concerned. Besides, when I encounter shallow water on a trail, I like to tuck my trouser legs into my socks and go straight through it rather than risk my ankles or my neck trying to avoid the water by hopping from one precarious foothold to another. But it’s not the first time that I’ve sunk my mid-height boots deeper than I intended and got my feet wet. For this reason I came to find tall boots appealing. 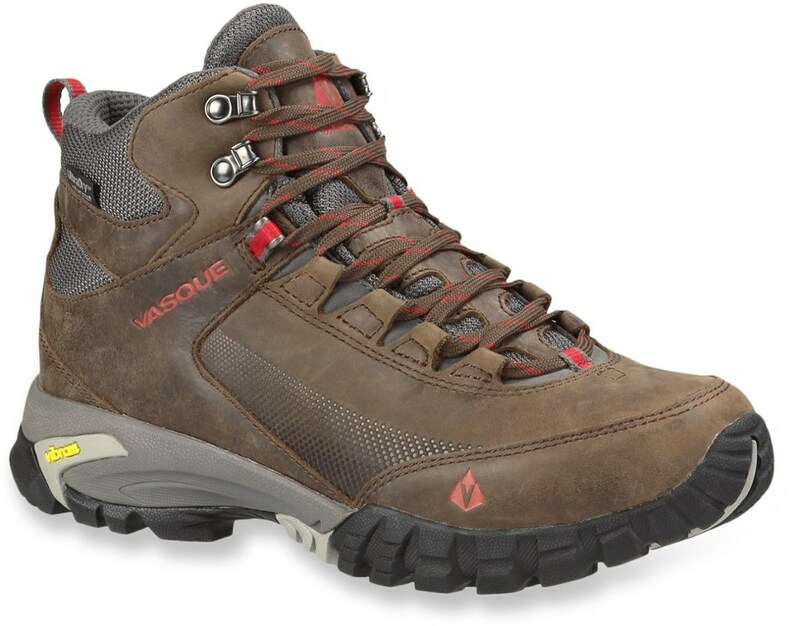 I could not justify buying another pair, so I started doing progressively longer walks in the Uplanders to see if they could make good hiking boots. The reason I wasn’t sure about their suitability for hiking is because, up to then, I had not found them very comfortable. The toe area was supple, but the shaft was stiff and impeded up-and-down forefoot flexing. This would have been an issue on steep ascents or descents. Furthermore, the boots felt roomier than my Renegades even though I had the same size in both. The Uplanders seemed to have a deeper forefoot, which made it hard to get a secure fit without overtightening the laces. 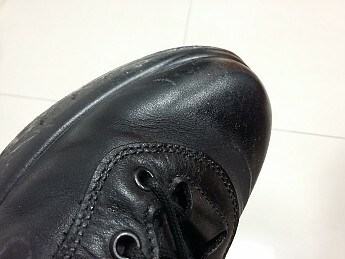 As I used the boots more regularly, the ankle flex-points creased and loosened up and the shaft became more comfortable. But I ran into durability problems. The right boot developed a loud squeak—an odd thing to happen with a military boot. Then in November 2016 I discovered that the left boot leaked. This was disappointing given Lowa’s good reputation. 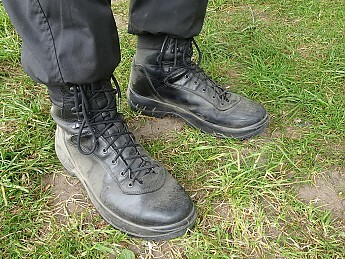 Furthermore, most of my walking up to then had been on easy ground and the boots were still in excellent condition. I took them back. At first the retailer tried to fob me off with waterproofing spray. They said that waterproofing is necessary to maintain the Gore-Tex lining. As it happens I had treated the boots with wax, which is much better than spray, but my sole aim had been to protect the leather. Patiently I explained that treating the boots on the outside does nothing for the Gore-Tex on the inside. It does not even stop water getting in, because you can’t waterproof the seams in the leather. This is why you need the Gore-Tex lining, and the Gore-Tex on my boots had obviously failed since water was getting inside. Eventually the retailer gave in—more to get rid of me, I think, than because I convinced them—and they agreed to send the boots back to Lowa for inspection. To their credit Lowa honoured the warranty and, as of January 2017, I am breaking in my second pair of Uplanders. So far at least, this pair is quiet and waterproof. Once again I have found that the fit of these boots takes some getting used to. I have recently obtained a pair of Superfeet Orange insoles, both as space-fillers and—so I have been advised—to improve my gait. 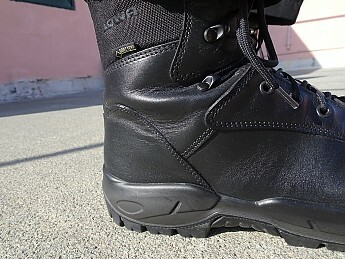 These have made a big improvement, though the boots still do not hold my feet as securely as I would like. Lacing the boots up to the right degree of tightness is still a tricky business. On long walks I find that I have to stop and tighten my laces a few times. They don’t come undone—no double-knotting required—but they simply start to feel loose. Perhaps this is because the boots do not have a proper locking eyelet, so the tension I apply over each forefoot works its way up to the knot and causes it to slacken. Eventually, however, I forget about the boots, which is encouraging. I think I will make them work for me eventually. 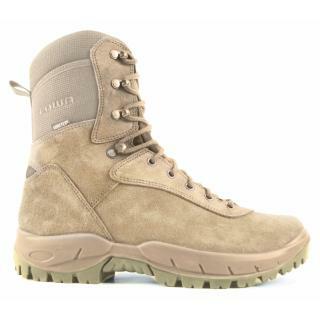 In the process of breaking the new boots in and getting used to them, I have taken them into rough terrain. I’ve done so with misgivings: I’ve no fear for the strength of the leather, but boots like these make you want to keep them shiny. The toe area has collected a number of nicks and scratches in the absence of a protective rand. The boots grip well on hard ground, however rough it might be, but my impression is that they do not grip as well as my Renegades on soft ground. The outsole is by Vibram, but it strikes me as being a part-urban, part-rough terrain design rather than being designed exclusively with rough terrain in mind. My overall verdict? These boots are fine for urban use. They are reasonably lightweight: each of my size 45s (US size 11.5) weighs 775g or 1lb 11oz. But if I were buying tall boots for hiking purposes today, I would look for alternatives. Apart from the durability issues, which were hopefully a one-off, I would look for a shallower forefoot that fits my foot shape better. 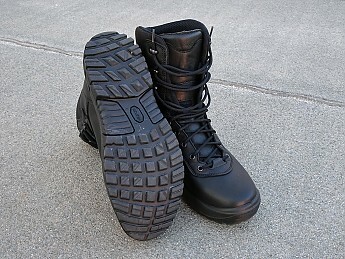 I would also look for a dedicated rough-terrain outsole and a lacing system with a locking eyelet. And a toe rand. I did some research and I learned about the effects on footwear of road salt, but where I live it doesn't snow in winter and they don't salt the roads. Then I learned that leather is treated with salt during the tanning process and contact with water can make the salt rise to the surface, producing a stain. 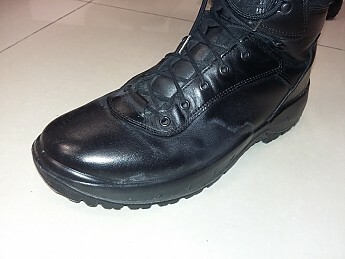 I was able to brush away most of the stains, then I re-waxed and polished the boots. After applying the wax I used a hairdryer to warm it up and make sure it ran into the creases. My Uplanders are looking almost as good as new again. However, I'm wondering what prolonged contact with water would do to these boots. I was hoping to use them on an upcoming eight-day trek in Scotland where there is bound to be a lot of water on the trails. Now I'm having second thoughts. I don't want the leather to split on me in the middle of nowhere. I did my Scottish trek last month and I used my Uplanders after all. The trail was not as waterlogged as I had imagined it might be, but it rained on four out of eight days. The boots coped with the rain well. The salt staining did not recur: perhaps it was a temporary effect that had exhausted itself. The deep creases on the right boot showed up again, but they did not appear to get any worse than they had been. The problems with fit and lacing seemed to sort themselves out. Throughout the walk I do not recall ever thinking about the loose fit of the boots. Perhaps my feet finally got used to them. Perhaps, too, walking with a heavy load caused my feet to flatten out and elongate (this can also happen with age) and this improved the fit of the boots. As for lacing, I said earlier in my review that double-knotting isn’t necessary, but this is how I solved the problem of the laces gradually slackening. I also said that the grip of these boots is not the best on soft ground. This did not cause problems on my Scottish trek because the trail was mostly firm. However, I found that the boots lacked traction on wet surfaces and I had to be careful when walking on rock slabs in the rain. My Uplanders finished the walk in remarkably good shape, barring some scratches on the toe area of the left boot. I have cleaned the boots with water and I have applied leather conditioner. I will follow this up eventually with wax and shoe polish. When I’m done there will be little to show that these boots have been on a 100-mile trek. I have had an up-and-down relationship with these boots, but they have won me over. 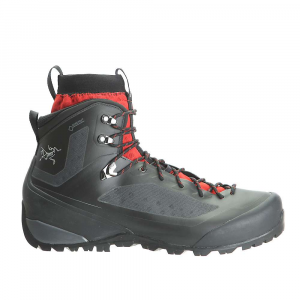 They are now my first choice for long-distance treks in cold to moderate weather. For this reason I have upgraded my overall rating from three to four stars. I thought I would be using these boots for a long time to come but earlier this month I discovered that the left boot was leaking—exactly as had happened with my original pair. The warranty had now expired so there was no point going to the retailer, especially after the problems I'd had convincing them to take the original pair back. Instead I wrote to Gore-Tex, who offer a lifetime guarantee on their waterproof lining. "Lifetime" really means "for the useful life of the product", but the boots were still in very good condition. Gore-Tex asked for photos of the boots, which I sent, and they agreed to refund me the cost of the boots. Luckily I still had my receipt. Gore-Tex normally expect you to send them the defective product. However, they asked me only to cut the little Gore-Tex tag off each boot and to send more photos as proof that I had done so. Perhaps I'm not the first person to approach Gore-Tex about leaky Lowa Uplander boots. Certainly, the fact that both my pairs failed in the same way suggests a manufacturing defect on Lowa's part. It's a big disappointment, and I'm reducing my rating of these boots to two and a half stars. This experience has left me with plenty of faith in Gore-Tex—they really stand behind their product—but little in Lowa. 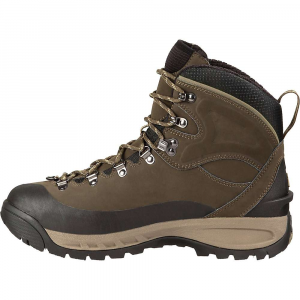 I needed waterproof boots for an upcoming walking holiday, and the failure of my Uplanders would have left me in a tight spot had I not had a pair of Ecco Biom Hike 1.7s available. I thought I was being a bit extravagant when I bought the Biom Hikes, but it turns out that having a pair of boots in reserve is a good idea. 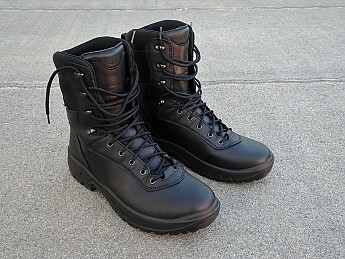 I will use the refund from Gore-Tex to buy a new pair of tall boots to keep in reserve. I don't think I will buy a second pair of Biom Hikes because, as I explained in my review of this model, they have shortcomings of their own. 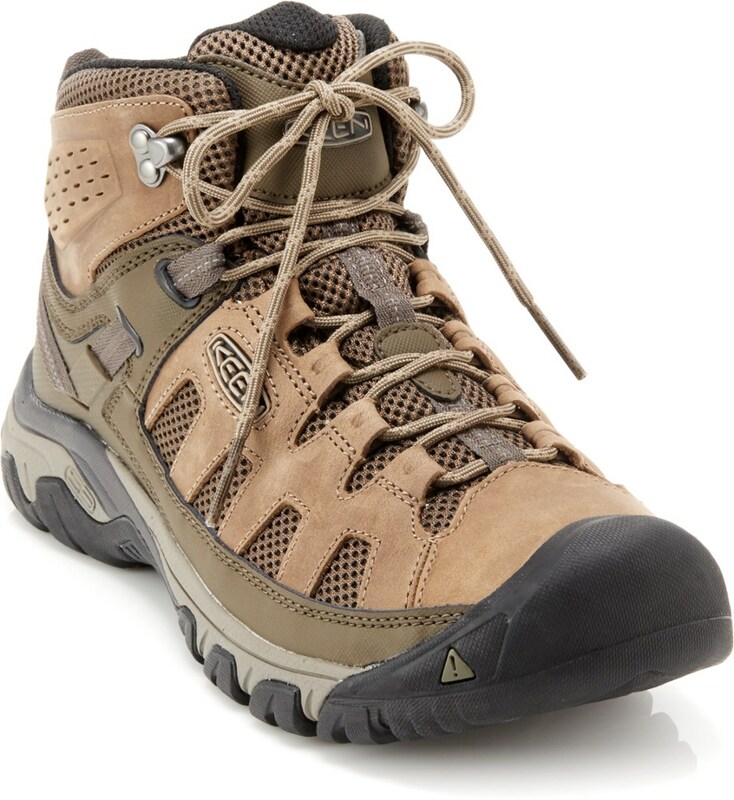 I am still searching for the ideal tall hiking boot. I can say two things about it: it will use Gore-Tex waterproofing, and it won't be made by Lowa. Thanks for such a helpful review, Charles. I hope you'll keep us posted on how your second pair of Uplanders works out. Nice review, Charles. Thanks for sharing it. My pleasure. Yes I will post an update in the coming months. Thanks for the update, Charles. I'll be curious to hear how your boots fare in Scotland if you choose to wear them. Good luck! Thanks for the update, Charles. I'm glad to hear the boots worked out. Thanks for the update, Charles. The Lowa Uplander GTX is not available from the stores we monitor. It was last seen March 6, 2019	at CampSaver.com.